Wine Tasting at Bin 41 Friday March 25th! 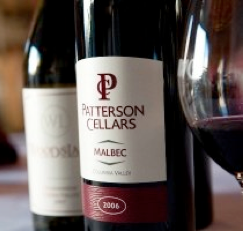 Join us at Bin 41 on Friday, March 25th from 5:30-7pm to taste wines from Woodinville Winery, Patterson Cellars, with winemaker John Patterson and his better half Stephanie Cuffel. John and his father Jack released their first wine in 2003, focusing on small lots of highly crafted wines from some of the state’s best vineyards. John and Steph will be sharing some fabulous new releases with you during the tasting…see you there! Check out the upcoming classes at Bin 41.